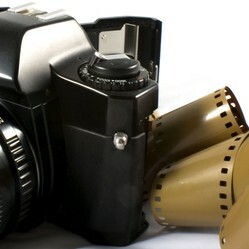 Whether a photographer should attempt to attend to any fault in his apparatus must depend on his mechanical knowledge in general, his possession of or access to suitable tools and his ability to use them efficiently, as much as on a full knowledge of the equipment and its construction. Even simple repairs are often more difficult than they look because special keys are required to loosen fixtures. Further, not knowing whether a particular screw has a right or lefthand thread may mean damaging the thread and doing more harm than good. It is generally cheaper, quicker and more reliable to leave repairs to expert mechanics. Many of the larger photographic dealers have their own workshops. staffed by mechanics with specialized experience. who can find the cause of a fault quickly and remedy it. Besides these dealers' repair departments there are photographic repair firms who specialize in repairing photographic apparatus. Most manufacturers' agents maintain mechanics who repair their own products, and only send major work to the factory for attention. This part of a manufacturer's organization also handles repairs within the guarantee period of the instrument. Today, worn or faulty parts are generally not repaired, but replaced by new original parts. The cost of labour is so high that the expense of, say, repairing an escapement by hand would be out of proportion compared with replacement by a mass-produced, complete item from the factory. This explains why repairs to obsolete cameras, for which no spare parts are available, are so costly. In these cases no original pa rts are available to the repairer and he has to make them individually, sometimes at a high cost in time. It is, however, quite astonishing to find, particularly in countries which have in the past been cut off for years from the country of origin of the camera, the high degree of skill with which workshops have been able to make up gears, screws, levers, etc., to bring instruments anything up to forty years old into perfect working condition. A survey of some 5,000 repairs to a great variety of cameras shows that about 9 per cent needed no attention at all. The trouble was simply lack of knowledge on the part of the person handling the instrument, particularly in the case of users of the so-called fully automatic (electric eye) cameras. The reasons include refusal to read the instruction manual or a "Camera Guide", misreading a distance scale calibrated in metres for feet, etc., and just plain ignorance of the elementary facts of photography. Most faults on between lens shutters can be traced to dust, dirt or sand which has found its way into the mechanism, possibly over a period of years. This may slow down the shutter speeds, or block escapement and built-in delayed release action. Gears should generally have a trace of suitable lubricant, but overlubrication may cause the oil to reach the shutter blades, eventually causing these to stick and seize up. Inaccuracies in focal plane shutters can frequently be traced to very dry springs or gears. In folding cameras, leaking bellows are high on the list of repairs. The trouble here is mostly caused by gritty particles like sand which have been allowed to remain in the camera and have worked their way through the bellows. Almost 80 per cent of all folding cameras checked for varying types of complaint have been found with the lens out of parallel to the film plane. This, of course, impairs the over-all definition. Rangefinders are liable to become inaccurate through shock, a fall or excessive variation in temperature. Viewfinders which show a field different from that of the negative may have become bent or distorted, but it is not unusual, particularly in the lower price range, to find that they have never been accurate, even when new. Consistently incorrectly exposed results with an electric eye camera indicate a faulty photo-electric meter or shutter. Alternatively, if the meter, lens aperture, and shutter speeds all err in the same direction, the total effect may add up to one, or even two stops over or under exposure. The fault can only be satisfactorily pinpointed with electronic test equipment. The remedy would lie in re-calibration of the meter and/or re-setting of shutter speeds. Lack of definition can be corrected in many cases simply by resetting an inaccurate distance scale, straightening a distorted camera body or film pressure plate which has lost its spring pressure, and squaring up the lens and film plane. In single lens reflex cameras. out of focus pictures may be the result of inaccurate positioning of a mirror or someone may have replaced the original mirror by one of different thickness or even with a piece of ordinary backsilvered looking glass instead of a surface silvered mirror. Similar complaints in twin lens reflex cameras may be also due to the viewing and taking lenses being out of coincidence. Mysterious patches of light in the picture may be traced to internal reflections in the camera. Even a black surface struck by a ray of light will reflect, particularly if it is not a dead matt. Such reflections often reach the sensitized material. To overcome this difficulty, many cameras with large interior surfaces- e.g., twin lens reflexes-are now produced with anti-reflection baffles inside. Repairs to lenses are rarely called for and are only needed if the lenses have been tampered with. The most frequent fault occurs with owners of front cell focusing lenses who remove the lens stop so that they can focus on a subject closer than the normal near limit. In the process the front cell is often fully unscrewed and on re-inserting it the definition is often found to be impaired. This is due to the fact that the large majority of lens threads are of the multi-start type. Without suitable optical and mechanical aids, it is possible to spend days trying to find the correct start for reinsertion. Another frequent trouble is scratched lens surfaces. Whilst a very few light surface scratches have no noticeable effect on the performance of the lens, a large number will produce light scatter and reduce the definition. As long as they are surface scratches- e.g., of the type caused by incorrect cleaning methods-the lens can be fully restored by repolishing. The problem, however, becomes unsolvable when there are deeper scratches and digs in the lens, or if it is chipped. To remove these by polishing would upset the performance of the lens system and mar the definition. With such lenses the safest thing to do is to fill in the scratch with dead black paint so that it does not create stray reflections. If the coating of a bloomed lens is scratched, this coating can be removed and a new one applied without any ill-effects.